Hop shoots are a gardeners’ treat in early spring. Here are photos of them growing by the entry arbor to our herb garden at Nichols Garden Nursery. 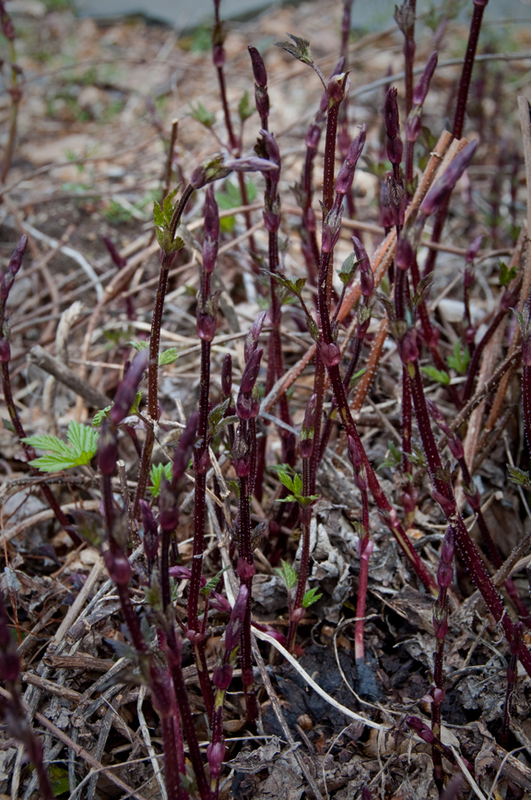 I snapped off a small bundle of emerging shoots, selecting for short tender stems and tips. Much admired in Belgium and France, where they are known as Jets de Houblon. Mature hop vines are actually more productive of hop cones when some shoots are removed. To prepare plunge your tender shoots into salted boiling water, cook for 2 minutes and then drain. The timing can vary a bit cook only until barely tender. 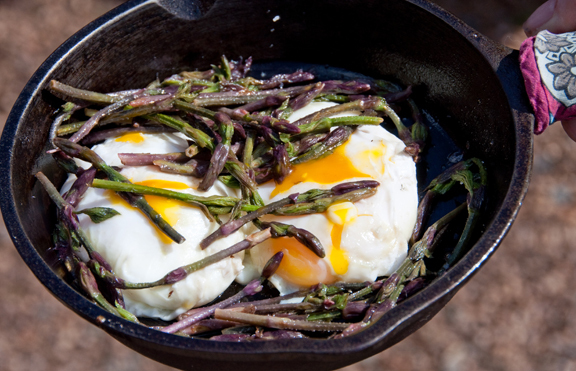 While shoots drain, poach eggs in fresh water (to avoid discoloration) or gently fry. Reheat shoots in butter and sprinkle over freshly cooked eggs. Don’t miss dipping a few hop tips into egg yolks. Where these shoots are abundant they are variously sauced with béchamel, used as an omelet filling, served as a vegetable and pickled. Pickling does sound like a lot of effort for an ephemera of springtime. I’d most surely be appreciative of another’s accomplishment.